This measure consists of the installation of a flexible system of sliding panels on the whole length of the platform’s edge. 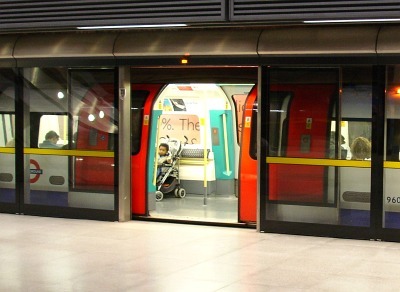 The system usually looks like a glass wall with intermittent "elevator type doors" and is often labelled “platform screen doors” (PSDs), “platform gate doors” (PGDs) or “platform-edge barriers”. The doors are normally closed and open only after the train had entered the station and stopped thus allowing passengers to get on/off the train. The system can be full-height (FHPSD ) or half-height (HHPSD ). Try to fit the people’s movement pattern and station environment with the right height and shape of the doors. Combine with warning or informative signs posted in visible places on the sliding doors. Implementation may be difficult because of many different train types wherein the doors will be located at another section. The failure rate for doors not opening has to be as low as 0.1% because otherwise there will be a disruption of the logistic process when people try to leave the train. Link between platform doors/screen at platform edge and type of rolling stock/control systems. OK if only dedicated rolling stock which could limit potential applications - costly. Expensive to install and limited, in the main, to stations constructed in tunnels. This measure became very popular in underground systems especially since the introduction of the automated lines (trains with no driver). An extensive list of examples is provided here. In some metro systems it was implemented only as a mandatory standard for automated trains and for traffic regulation purposes. Yet, once installed it virtually eliminated suicide and trespassing incidents. 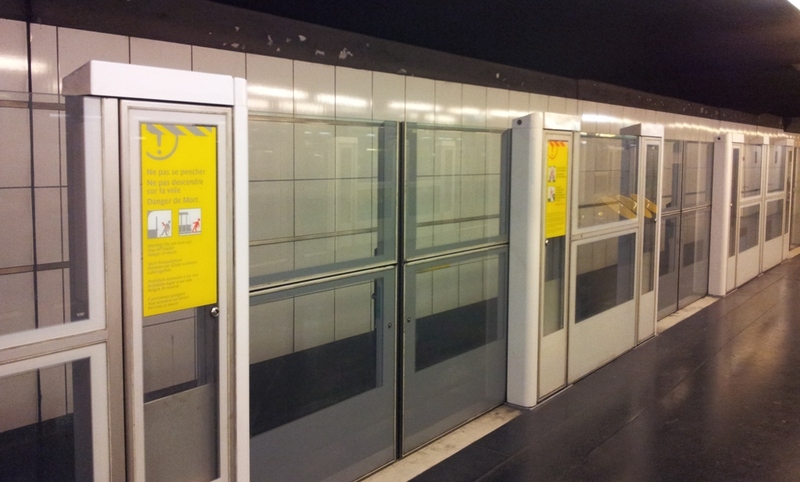 PSD effectively prevented suicides at railway station platforms with no significant sign of displacement to other platforms (Law et al., 2009): railway suicides decreased by 59% since the installation of platform screen door, adjusted for age and gender. No sign of suicide substitution to unsealed platforms. Railway suicides decreased by 84% for people with psychiatric profile. PSD was effective in preventing falls onto railway tracks in Hong Kong. They effectively reduced railway injuries (adjusted 5-year average percentage change: -68.8%) with no apparent substitution effect to the other platforms observed (Law & Yip, 2011).